Haha! 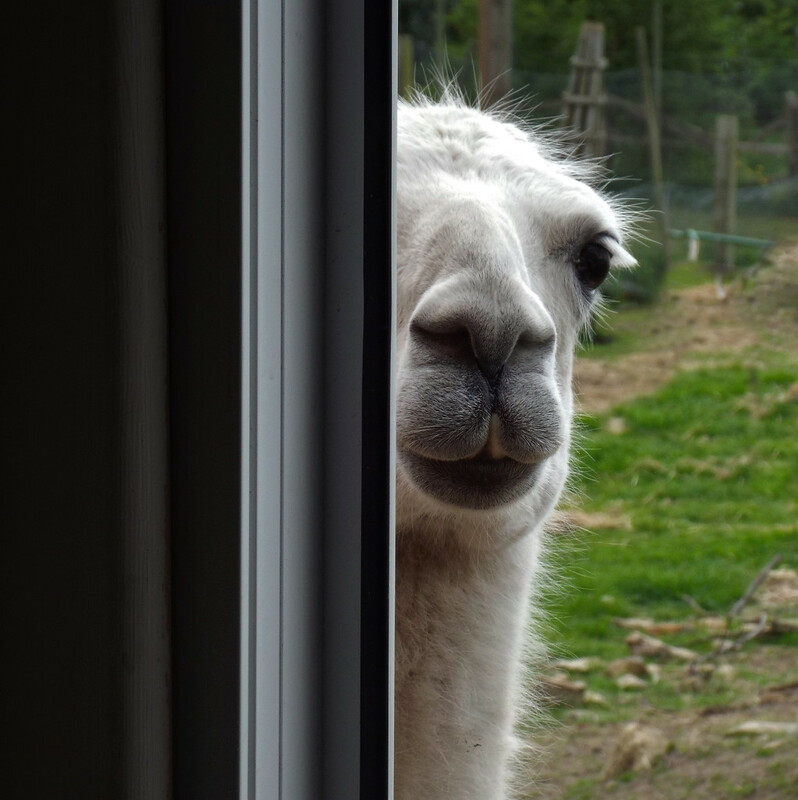 Love Llamas and Alpacas. His half smile gets a whole smile from me .. and a fav. Very sweet. Great Lla shot. They are lovely creatures ...despite the amusing under-bite! Llamas always make me smile! Love this, made me smile! Love it, it made me smile. A perfect half and half. fav. Hehe she is too cute! That's hysterical, I love it! Haha, not the usual thing to see out a window. It made me laugh. not your usual participant in the half and half challenge. You must have acted quickly to capture this one. Fun. Lol. Very funny. great composition and funny capture. Hehe, very cute and a great half'n'half shot, fave!